Home / publishing / Why is mobile gaming such a success? Why is mobile gaming such a success? 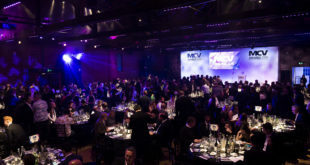 Over 133 new studios opened within the UK in the last 18 months. 80 per cent of these are working on games for Apple’s iOS platform, and over 70 for Google’s Android operating system. These are games built specifically for tablets, smartphones and other mobile devices. Vast install bases, open distribution channels and the rise of digital have all been identified as key factors behind this mobile blitz. But what do UK studios working in the market have to say? And what of the industry’s bigger publishers looking to get their share of the mobile space? It’s a view shared by many studios working in this burgeoning market for mobile games. The popularity of smart devices amongst not just core gamers but wider consumers and casual players presents a golden opportunity for developers to strengthen their relationship with their fan bases. It feels like a gold rush sometimes when it’s phrased in that way. 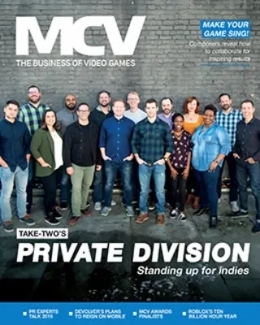 The allure of a more direct relationship with gamers has a lot of bearing, and there’s nothing like being free from outside influence when you’re creating something,” says Phil Gaskell, creative director of Ripstone. Talk to almost any studio, big or small, and the motivation is the same: accessibility. Working on these platforms is just really accessible and practical for folks who are comparatively small and limited in funding,” says Chris Southall, chief technical officer at Sega’s Hardlight studio. Mobile titles are paving a two-way street to success. Developers are able to push out quality games with a relatively small team and budget. Meanwhile, these casual games that value pricing and play constraints higher than most are finding themselves targeted by an influx of new gamers. The demographic change recently is toward a younger and a more casual user. Where previously a smartphone was an expensive luxury, it’s now an affordable need,” says Mark Baldwin, community manager at New Star Games. It’s this access to a new audience of casual players that’s attracting the industry’s bigger publishers to get in on the mobile action. EA, Activision and Microsoft all have big mobile interests, and console favourites like Call of Duty and Halo are now on smartphone and tablets. Publishers realise the power of mobile gamers and we are seeing a lot of companion apps that go alongside major console releases. Some of these are really good, but I don’t see many major publishers taking many risks in the market, it’s mostly established brands at premium prices,” says Baldwin. Disney’s Where’s My Water has achieved over 200 million downloads. Activision’s latest mobile Call of Duty effort Strike Team topped the UK iPad chart in its first week. But despite this, not everyone is convinced these console behemoths are having an effect on the market. 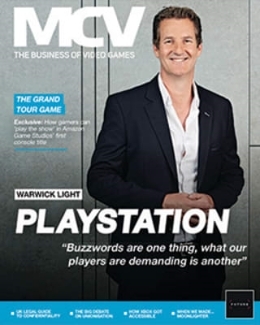 I think the majority of publishers have some degree of presence in the mobile market, though some have been doing conspicuously better than others,” says Outplay Entertainment CEO Doug Hare. The presence of these console publishers in the market is a divisive subject. While smaller studios are churning out original IP for these portable systems, bigger publishers seem focused on porting across their triple-A blockbusters to the screens in consumers’ pockets. A first look would suggest the key publishers are muscling their way into a little guys market. But look closer and it appears that both sides can co-exist without stepping on each others toes. We’ve had big mobile publishers on these platforms for at least three years and they’ve not necessarily been ‘traditional’ games publishers. The likes of Gameloft, Zynga and King have been rubbing shoulders with EA and Sega for a while. The advantage established publishers have is their IP have ready-made fan bases,” said Team 17’s Bestwick. 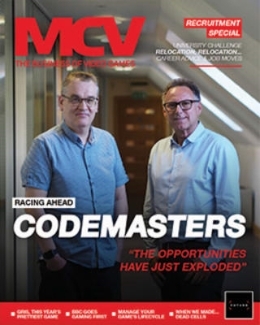 Fireproof Games’ commercial director Barry Meade even believes the presence of the leading publishers in the mobile market is beneficial to smaller studios. You can arguably say they help kick up overall quality,” says Meade. But will the likes of EA and Activision ever replicate their success at retail with their global brands’ little brothers?